With its serene beaches, blue waters and clear skies, Barbados has rightfully earned a reputation as the perfect locale for an island getaway. The British Commonwealth nation enjoys a warm climate with gentle breezes and is regularly spared the hurricane warnings of its northwest Caribbean neighbours. For all the splendour to be found along its pear-shaped coastline, the pristine beach splayed out before the elegant Fairmont Royal Pavilion represents the best the island has to offer. Situated on Barbados’s Platinum Coast, the resort’s oceanfront rooms feature expansive balconies boasting unobstructed views of the picturesque shoreline. And while you can most certainly spend your days dozing off on delicate sands to the soothing sounds of the rolling surf, there are many other memories awaiting you in Barbados’s azure waters and across its verdant landscape. From watersports to island tours and first-class dining, the concierge staff at Fairmont Royal Pavilion will make your stay a grand, bespoke experience. 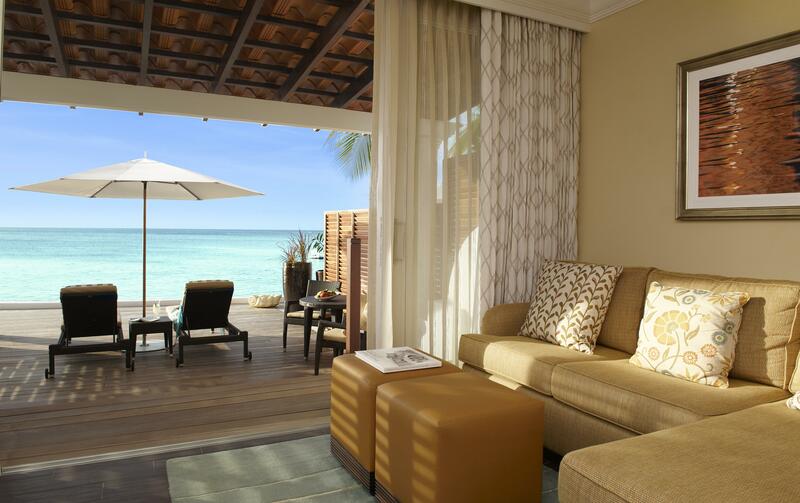 From the moment you arrive at Fairmont Royal Pavilion, you’ll be drawn to the water. 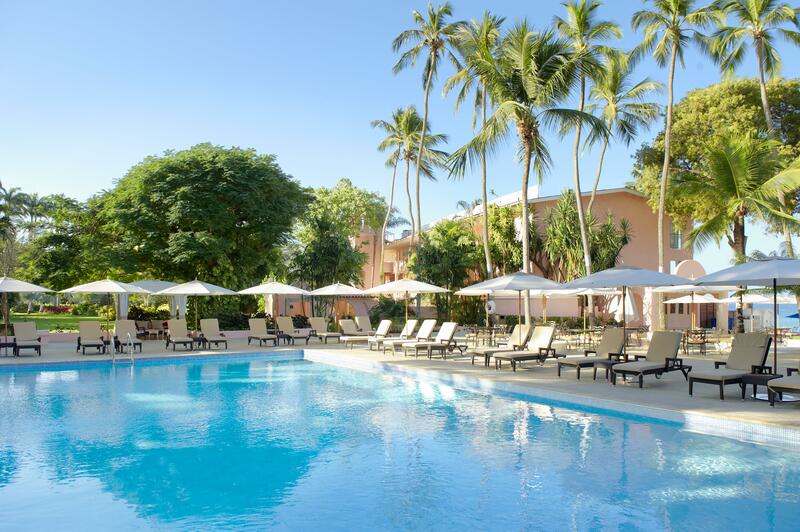 After passing through the hotel’s magnificent gardens, a quick look around reveals paradise: palm trees ring a curved stretch of smooth pink and white sand leading to the Caribbean Sea. The calm, warm waters are perfect for a relaxing swim, and as the area is roped off, there’s no threat of being disturbed by any motorised watercraft. For guests interested in more active aquatic pursuits, recreational non-motorized equipment is available to use for free, including sea floats, snorkeling gear, windsurf rigs, Hobie wave sailboats, single and double kayaks, paddle boats and stand-up paddle boards. While beach staff may be available to guide you out to a nearby swim amongst the hawksbill and leatherback turtles, speak with the concierge about booking a catamaran cruise to explore other waters around the island, from daytime turtle swimming expeditions to glorious evening sunsets. Less than ten minutes south of the resort lies the Folkestone Marine Park and Museum, a living, underwater aquarium. While an actual indoor section of the museum exists, the sea is the real star attraction. With an inshore reef sitting only about .5 kilometers (.33 of a mile) from the shore, the area attracts schools of fish, sea lilies, sponges and more. Experienced scuba divers can venture a bit farther out to discover the artificial reef formed by the sunken Greek freighter Stavronikita. For more shipwreck diving, continue south to Carlisle Bay to visit six sites considered ideal for beginners. Easier dives include the 33.5-metre (110-foot) Eillon boat and the Bajan Queen tugboat, though others may be interested in the historical Cornwallis, a Canadian freighter that became a casualty of a German U-boat torpedo in World War II. In addition to the myriad of tropical fish living here, you’ll also likely encounter turtles, eels, seahorses, rays and the occasional octopus. If you’re curious to observe life beneath the sea’s surface – but insist on staying dry – a 10-kilometer drive to the Shallow Draught docking area outside of Bridgetown will take you to the Atlantis Submarine Tour. A transfer boat shuttles you away from shore and into a 19-metre (65-foot) submarine, which reaches depths of 45 metres (150 feet) on its 40-minute trek under the sea. 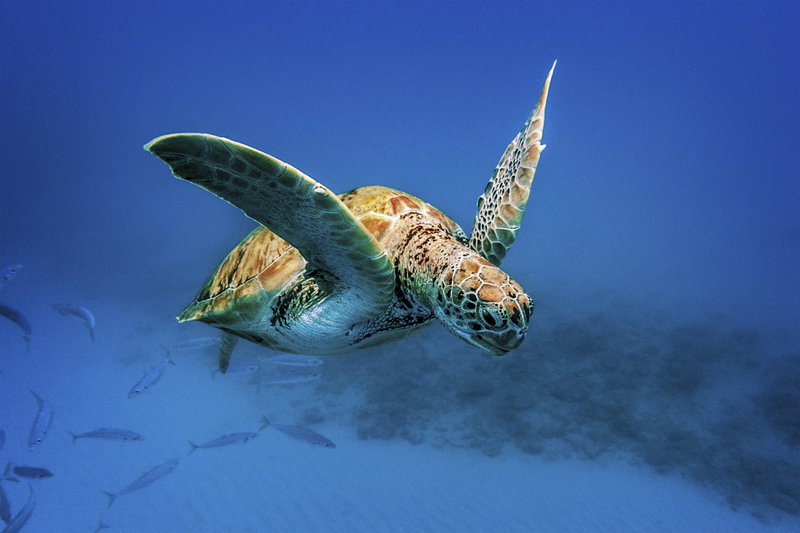 Though there is no denying the impressive beauty of the island’s marine life, the exquisite Barbadian countryside is also replete with leafy canopies, flowering gardens and its own diverse collection of animal residents. 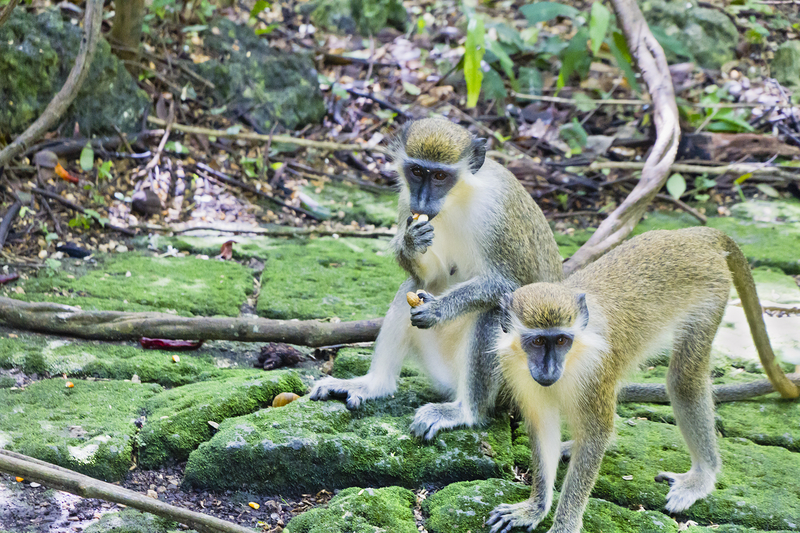 The stone paths of the Barbados Wildlife Reserve pass through the habitat of parrots, flamingoes, peacocks, pelicans, reptiles, deer, and the ever-popular green monkeys. Monkeys can also be spotted most mornings at Welchman Hall Gully, a tropical forest under collapsed cave roofs that's home to more than 150 flora species. Head toward Bathsheba in Saint Joseph for the six charming acres of Andromeda Botanic Gardens and its eye-catching display of tropical growth blooming among waterfalls, streams and ponds. Ask the concierge to arrange a chauffeured five-hour tour of these and other stunning natural points of interest. 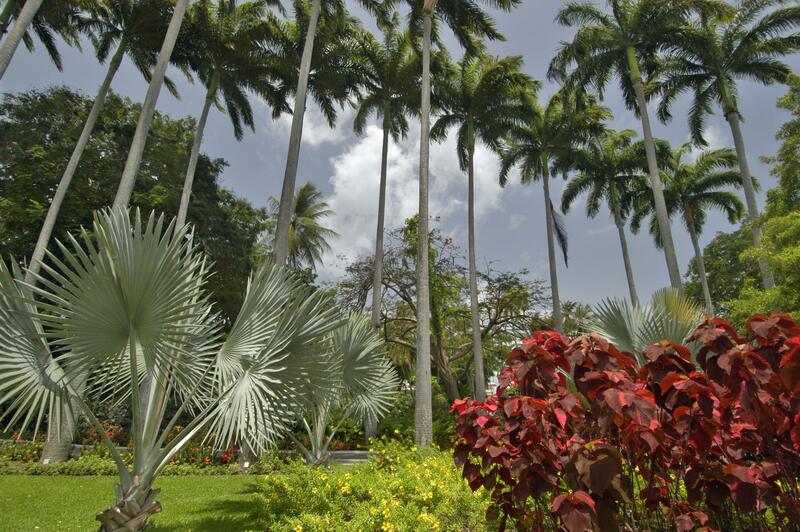 Having indulged in the island’s sights and sounds, you’ll also want to appreciate the tastes of Barbados. As the country is sometimes called ‘Little England,’ guests of Fairmont Royal Pavilion may visit the hotel’s Taboras restaurant daily for complimentary afternoon tea, complete with freshly baked scones and pastries. 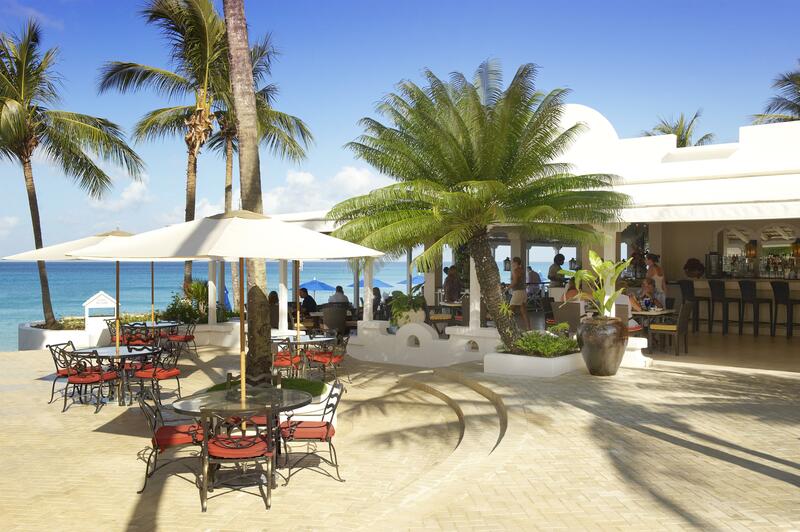 Be sure to return to the casual, beachfront alfresco atmosphere of Taboras for dinner, where you can sample the miso glazed barracuda medallions or the Bajan-spiced pork loin served with curried plantain and pineapple relish. 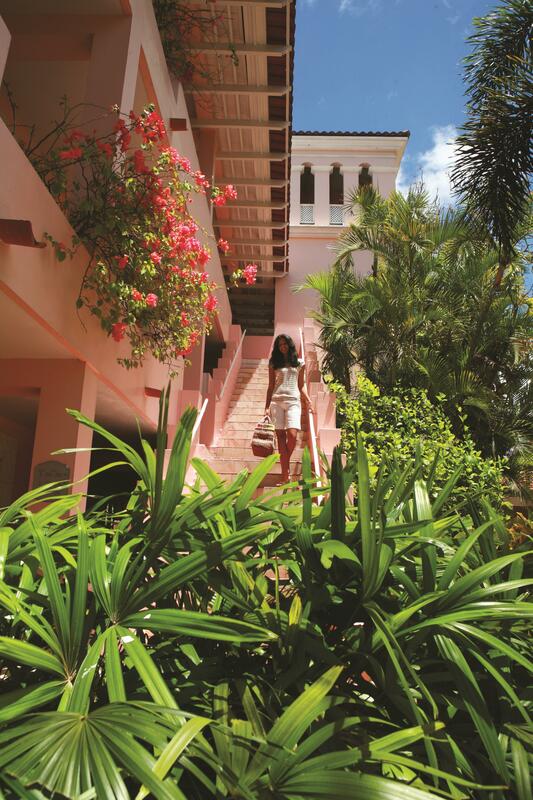 The upscale elegance of the Palm Terrace, also located within the hotel, pairs sumptuous cuisine with sea views. Executive Chef Kirk Kirton curates a seasonal menu highlighting Caribbean dishes and seafood, such as Diver scallops with Bajan rum bacon or freshly caught Grilled Dorado with tropical salsa. During summer season, Palm Terrace is open for the International Buffet only and reopens in December. Dedicated foodies can also arrange an unforgettable private culinary experience with Chef Kirton. Get a taste of true local food and culture during the famed Friday Night Fish Fry held in the southern coast fishing town of Oistins. The weekly neighborhood street fair brings together DJs, food vendors and a festive assemblage of residents and tourists. Come hungry, but dressed down and prepared to wait in long lines for incredible grilled marlin, swordfish and flying fish served with plasticware and eaten at shared picnic tables. You’ll find that the locals are among the friendliest people on the planet, and with good reason: they live in paradise. To begin your own Barbados beachside escape contact Fairmont Royal Pavilion's concierge in advance at rpv.concierge@fairmont.com. After living for five years in Brazil, where he wrote restaurant, nightlife and hotel city guides for Time Out São Paulo and others, Corey Mittenberg Gorey returned to his native New York City. With experience creating and revising content for corporate PR and social media campaigns for the art market, he also continues to translate Brazilian Portuguese works for film, television and theater.